Come to our free Façade Academy Open Day on 8 Sep! 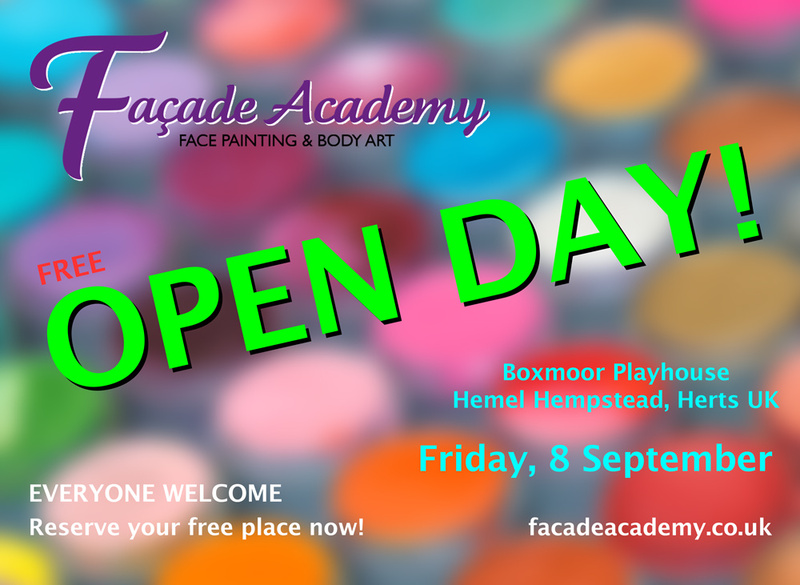 Everyone’s invited to our fabulous and free Façade Academy open day on Friday, 8 September. Book your free place here! 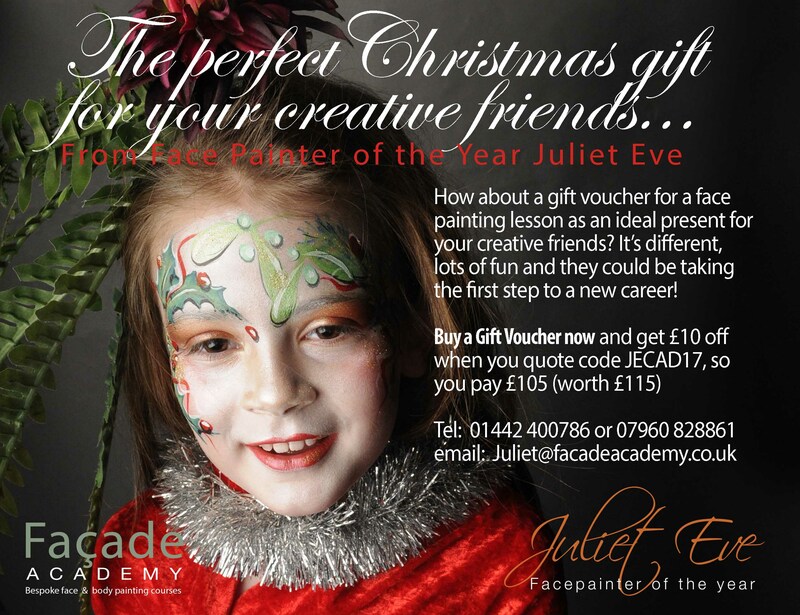 One of the absolutely best things about being Principal of Façade Academy of Face Painting & Body Art is organising events for all our painty friends, old and new, at all levels – everyone is welcome, so bring your friends and families! It’s at the Boxmoor Playhouse in Hemel Hempstead, Herts. This one is an open day for painters at all levels, to showcase what we do: demos (bring your requests! ), a Question Time with our expert panel, a preview of our new line-up of classes for next term and a chance to discuss what classes would suit you best. Plus the launch of my new book, A-Z Animal Designs: A Face Painting Workbook. And there will be afternoon tea and a mini jam – so bring your paints, just in case!